When we do get that alone time (that I have organised) we are fine. We have plenty to talk about and it’s not even about the kids. There is still that pull. He still makes me laugh. 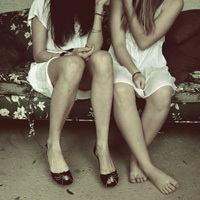 There are still the smiles we only give each other. I still find him attractive and by all accounts the feeling is mutual. We aren’t broken. And it’s nice to remind ourselves of that from time to time by just being “us”. 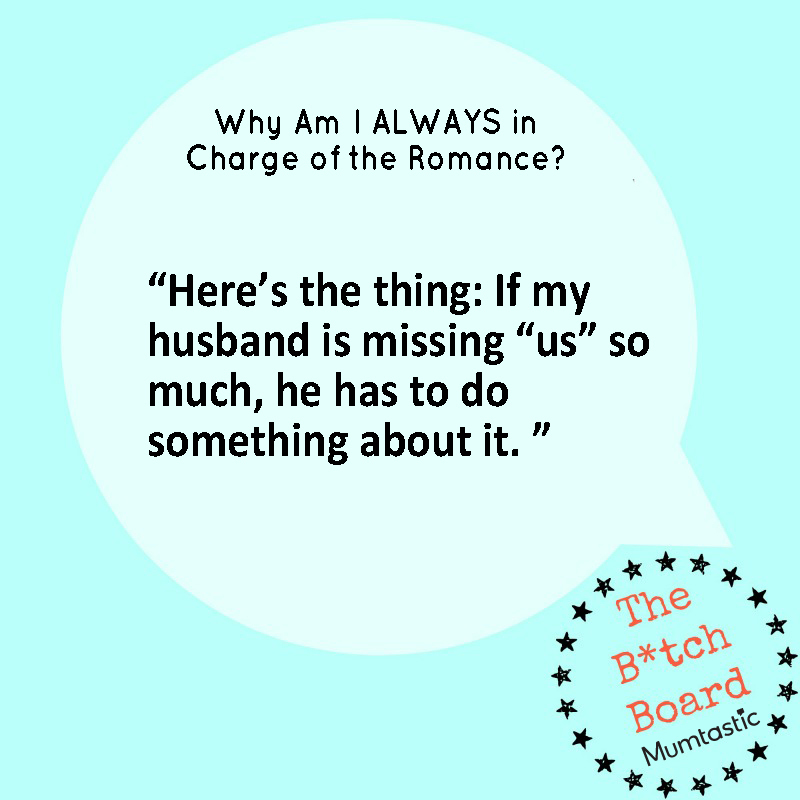 So here’s my beef — if my husband is missing “us” so much, he has to do something about it. It cannot be my sole responsibility to run our family, our household, our social lives, the kid’s school and sporting lives AND our marriage. The very small act of him organising that date night, making that investment in us, already makes me feel so much closer to where we were before kids. It means he values not only us, but me. That he is prepared to put in some work, rather than just be sad about a version of us that cannot presently exist but will come back when the kids are older. If BOTH of us make an effort.